A 9-day bike ride taking you through the cold desert of Spiti valley in the north-eastern part of Himachal Pradesh. Spiti means "The middle land", the land between India and Tibet. Royal Enfield 500 cc bikes for the ride. Experienced road captain and a backup vehicle throughout the ride. Spiti valley is a cold desert mountain valley located high in the Himalayas in the north-eastern part of the northern Indian state of Himachal Pradesh. The name “Spiti” means “The Middle Land”. I.e. the land between Tibet and India. Buddhists make up for its primary population. The culture is a slightly altered and distinctive Buddhist one. Ki and Tabo Monastery are highlighted as important cultural and research centres of Buddhism. Spiti lies quite close to the Indo-China border and is an important ecological conserve. The barren terrain surrounded by high mountain ranges is a mountain-desert with infrequent precipitation. All the members are required to report in Chandigarh on the starting date by 12 noon. The representative from the coordinating team will meet you at the reporting location in the city, the exact address of the same will be intimated post booking. The accommodation in Chandigarh will be pre-booked for all the members and check-in to the respective room to freshen up. On this day you are free to explore locally by your own but you will have to gather in the evening for a tour briefing, safety and rescue session by professionals from the organizing team. Overnight stay will be in Chandigarh. After breakfast, all the members and the coordinating team will meet for bike allocation and the members will be given bikes as per their booking plan. On the bikes, the group rides from Chandigarh to Narkanda on their first day of the adventurous journey. Upon arrival in Narkanda you may take some relaxation time off and if you get some spare time then you will be visiting the Hatu Peak or Hatu Temple. You will be staying overnight stay at a hotel in Narkanda. Start the day's ride towards Kinnaur Valley with the magnificent vistas throughout the way. As it is the last inhabited village before the Indo-china border, soon after leaving you will see lesser and lesser humans with every kilometre you cover but the views during the rides are breathtaking. You will be riding for about 5-6 hours and be staying overnight at Chitkul. Today you will be going to Kalpa on a short ride of 4-5 hours, though the distance is just 80 km, the distance in the mountain is not the same as that in the plains. The ride offers some mesmerising views of the valley and some high snow-capped peaks. Roads on this route are some that you might have seen a few times on social media posts. In the evening, enjoy the sunset and you will be staying overnight at Kalpa. After breakfast, you will be leaving for Kaza en route Hindustan – Tibet Highway. Be an eye-witness of the meeting point of Spiti and Satluj river. Also, get a clear view of Leo Purygal Peak from the Khab Bridge. Post lunch, you will ride across Nako and Malling Nallah. After crossing Sumdo we will enter in the Spiti region and take a detour to visit 500 years old mummy in the Gue village. You will reach Kaza in the evening and be staying overnight at Kaza. By far, this will be the most eventful day of your journey. Start your ride early in the morning as this one is going to be a long day. Visit the world’s highest post office which is located in Hikkim and also the world’s highest village connected via motorable road, Komik. Also, take a tour of the famous Langza where you will get tremendous views of the Chau Chau Kang Nilda Peak and the Buddha Statue looking down at the valley. You will have your delicious dinner and be staying overnight at Kaza/Losar. After breakfast, you will start riding towards Chandratal, the moon lake. You will cross the highest point of your trip, the Kunzum La, situated at 4590 m.
During the ride, you will also visit the famous Key Monastery and Kibber Village. The road towards Chandratal starts from Batal, and the journey is breathtakingly beautiful. The road ends about a kilometre before the lake and you have to walk till the lake from here on. You will see a beautiful crescent-shaped lake filled with crystal clear water right in the middle of a stark landscape. You will be staying overnight at the campsite near Chandratal. The ride to Manali is going to be a long one and will take you from a dry and barren mountain to the lust green Kullu Valley. The ride from Batal to Chattru to Rohtang Pass is one of the most beautiful routes in your entire road trip. You will reach Manali in about 7-8 hours from Chandra Tal. You will be staying overnight at Manali. After breakfast, you along with the fellow riders can chill out in Manali. In the evening you will start your journey towards Delhi or Chandigarh and bring to an end this beautiful and memorable road trip, taking back memories for a lifetime. Royal Enfield 500cc (2017 to 2019 models). Fuel for the bike as per the mentioned itinerary (Chandigarh to Manali). Accommodation on twin or triple sharing basis as per the itinerary. Breakfast (From day-2 to day-9). Dinner (From day-2 to day-8). Back-up/support vehicle for the tour. Guest luggage to be carried in the support vehicle. Helmet for rider and pillion. Mechanic support during the tour. Permits and local association fees. Volvo bus tickets from Manali to Delhi OR Chandigarh. Any transportation not mentioned in the itinerary. All riders must have a valid driving license. Refundable security deposit of Rs. 10,000 per bike needs to be paid in cash - In-case of any damage to the bike the repair cost will be deducted from this deposit. Members should be minimum 10 years of age to join the ride as pillion. Full-face helmet with clear visor. Mobile phone connectivity: Unless you wish to be dependent upon STD booths, carry a BSNL/MTNL post-paid connection. Report at Chandigarh city centre. The exact address is shared with you in the booking voucher. 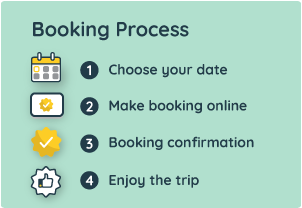 The operator details and phone number will be shared in the booking voucher send to you via email after the booking is made. Manali to Delhi/Chandigarh bus tickets will be shared 48 hours prior to the departure date.